Architecturally, this is my favorite building in Vegas, hands down. I don’t know why pyramids capture my imagination so much but they do. And something about the combination of an ancient building form, in black with modern entertainment really tickles my fancy. I’ve seen the gold pyramid in Memphis, it’s not as cool as black. 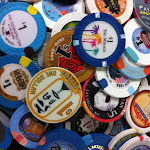 And yet, I seldom stay or play there. I don’t know why. In the beginning it was because I was a newbie to the city. Now, it just doesn’t do it for me. It’s got some quality dining options, nice table limits and a good selection of slots. My only guess is location. 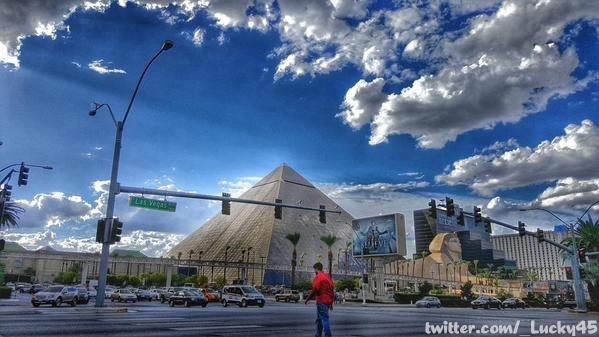 Anyway, this weeks’ winner is @_Lucky45 for a great angle of Luxor with a beautiful cloudy sky as the backdrop. Even the name is cool, Luxor.